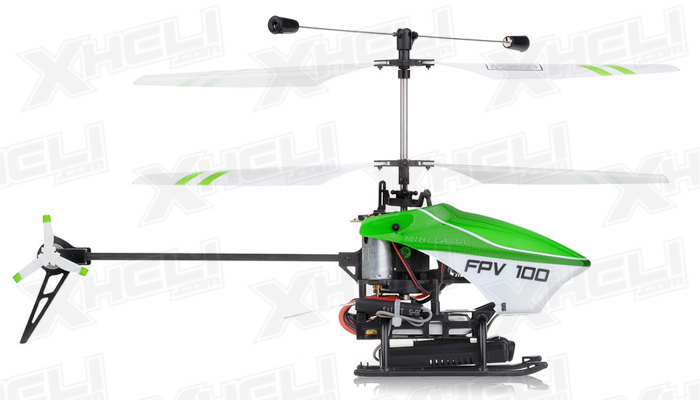 The Walkera FPV 100 Mini Lama is a small counter rotating rotor head four channel helicopter. 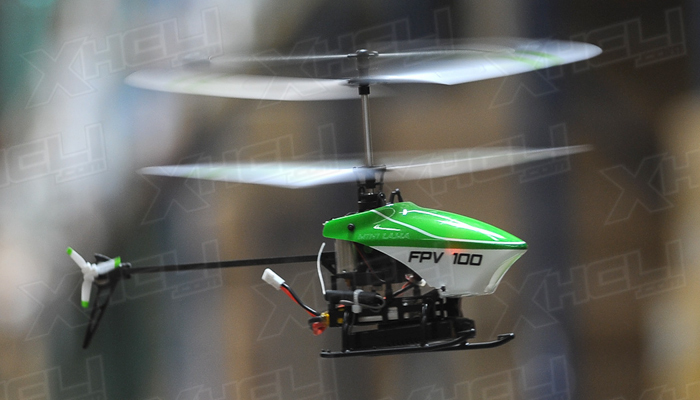 The FPV 100 is Walkera's latest micro sized helicopter with first person view capability. 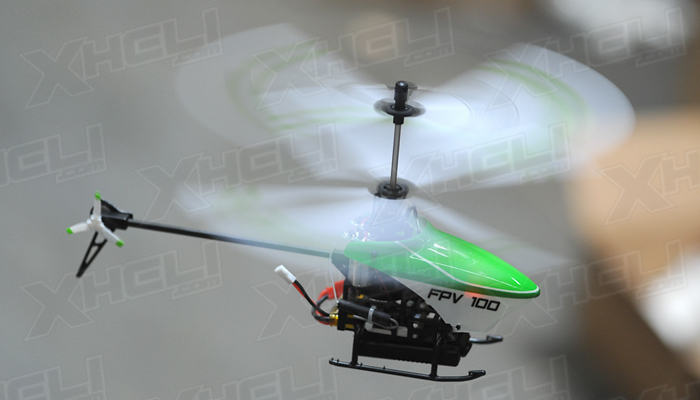 The first time we flew this chopper we were very impressed. 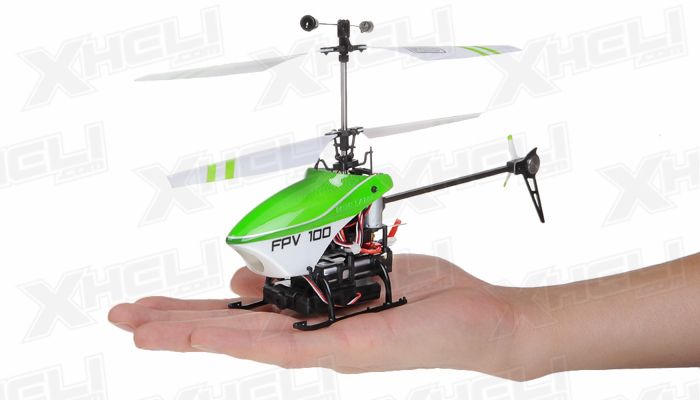 Walkera has proven that they know how to make micro sized helicopters with years of experience creating helicopters of all sizes and skill level. 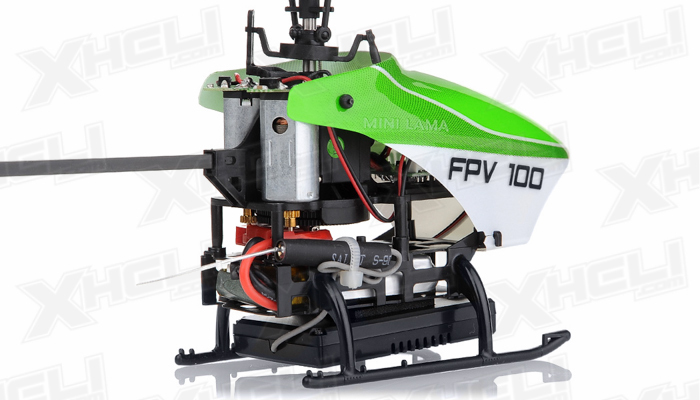 The FPV 100 Mini Lama is one of their latest innovative designs that appeal to the beginner or advanced pilot looking for relaxing enjoyment. 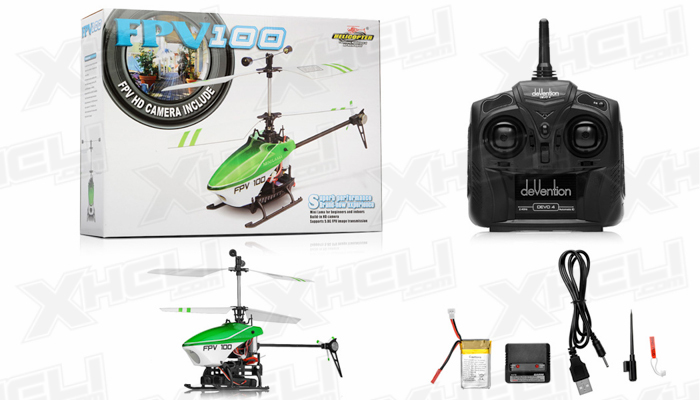 It has an integrated a Wi-Fi chip set so you can control it directly with your iPhone / iPad. 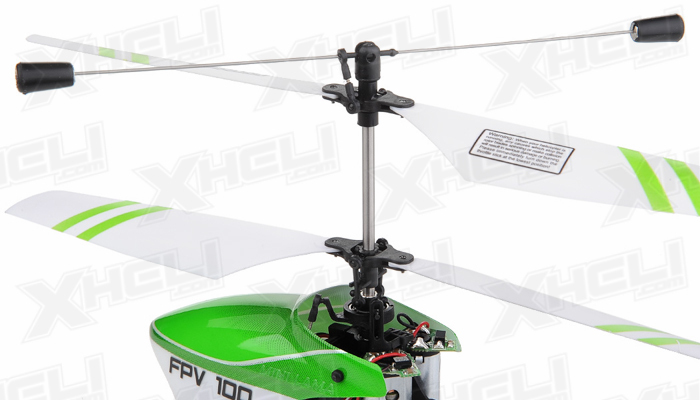 They made this feature very simple. 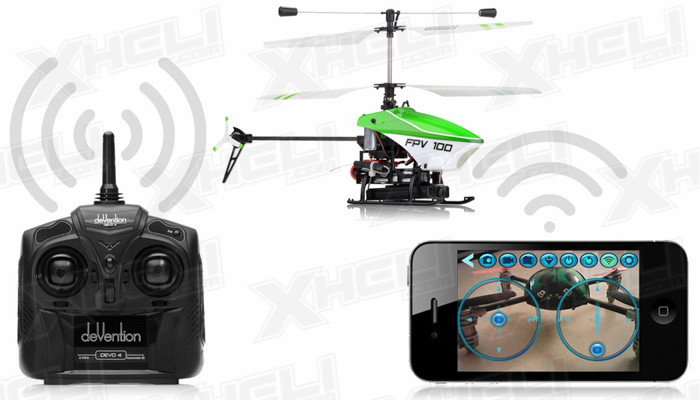 There is no need to fiddle with router settings or internet settings, simple go to your iPhone / iPad's Wi-Fi settings menu, select the drone's WiFi name and open the "WK-Remote" app. 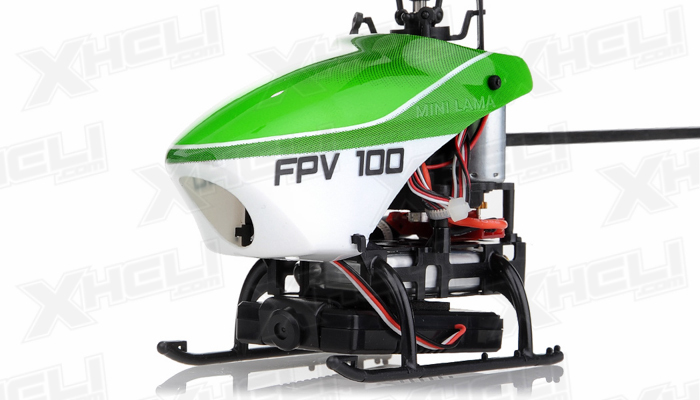 Once this is linked you will get live video feed and gain full control of the FPV 100 Mini Lama chopper. 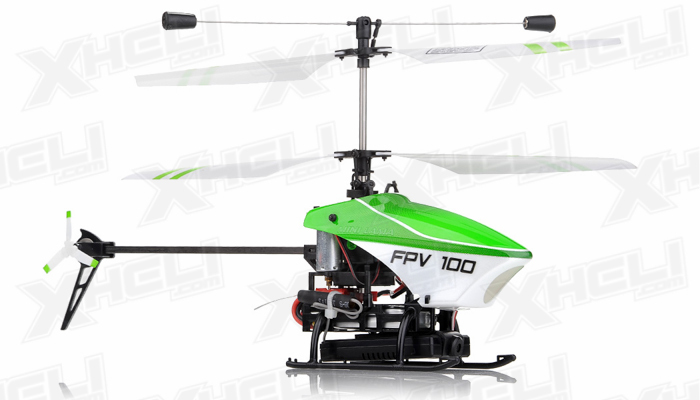 You have the ability to achieve first person view through the onboard camera and possess the ability to start and stop recording and take still images directly from the controls on your iPad or iPhone. 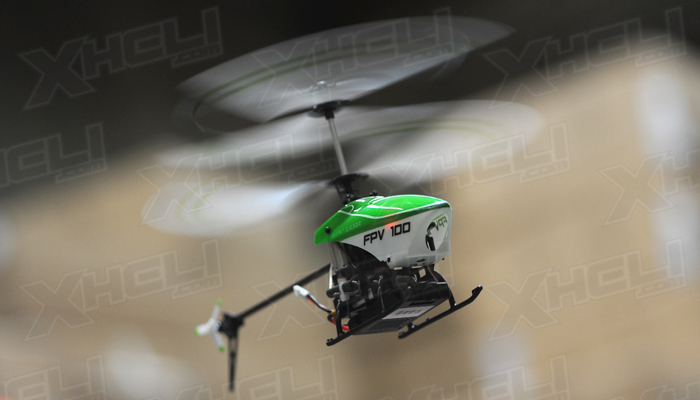 The files will save onto your i-device and will be retrievable thru iTunes or your computer. 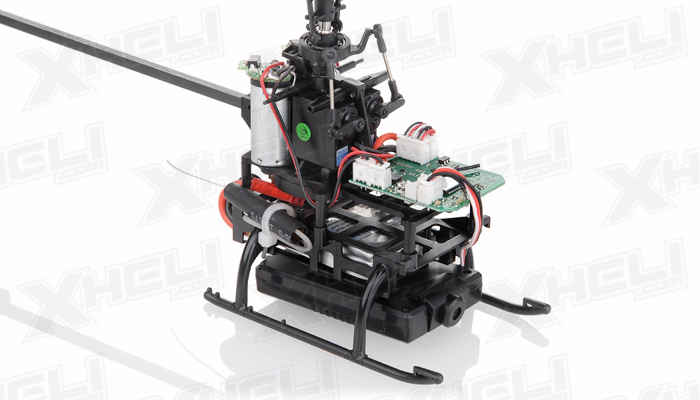 While using with iPhone / iPad, you can use the ordinary stick control mode, or use the Gravity Mode. 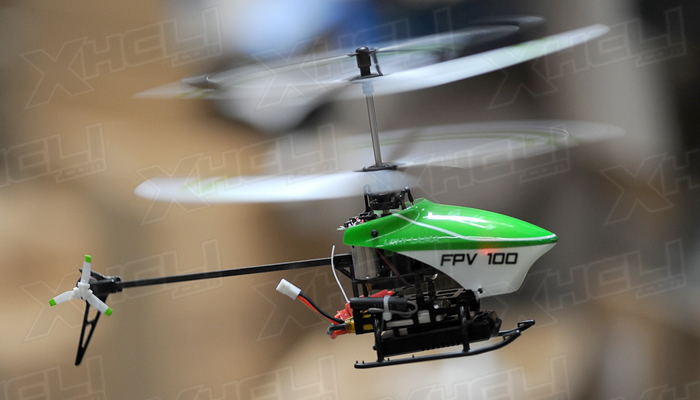 The gravity mode utilizes the i-Devices accelerometer and allows control of the FPV 100 by tilting the device forward, back, left and right. 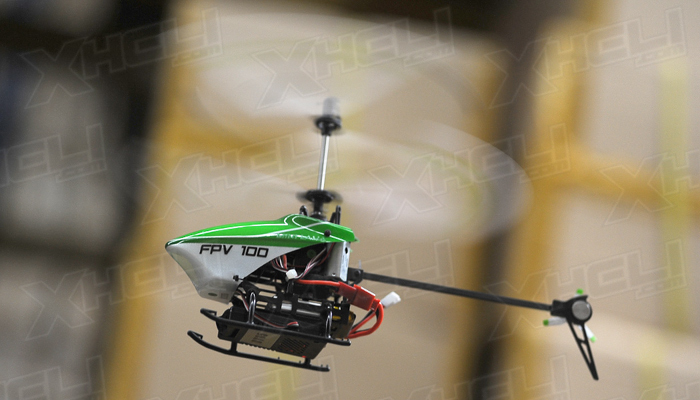 It is a bit tricky at first but a cool feature indeed! 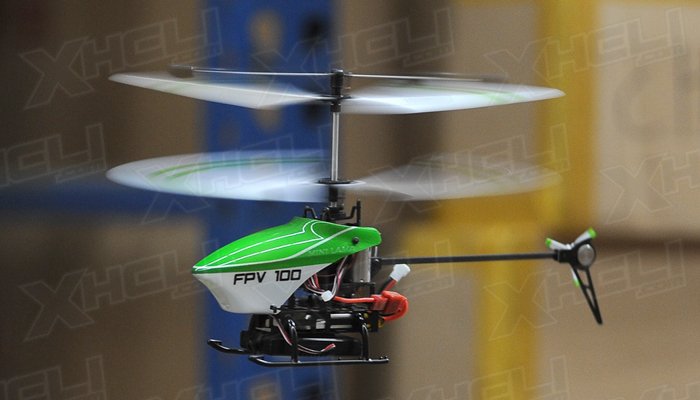 The FPV 100 Mini Lama helicopter is also compatible with the Walkera Devo transmitters. 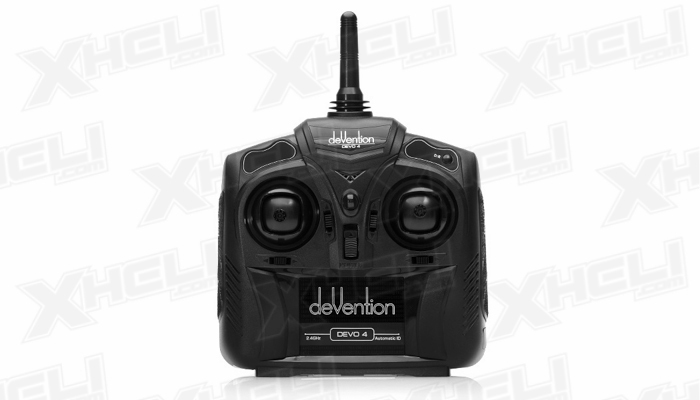 This heli comes equipped with the 2.4ghz Devo 4 allowing precise controls with a traditional transmitter. 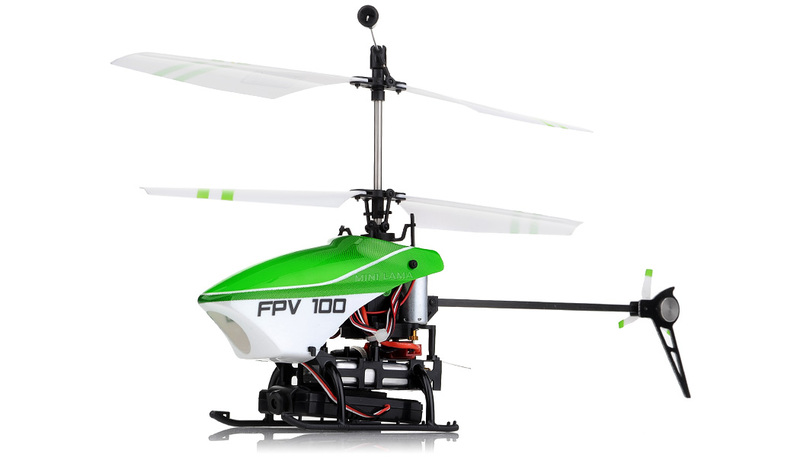 We liked flying the FPV 100 helicopter with this setup best because it gives the best feedback and most comfortable and familiar flight controls. 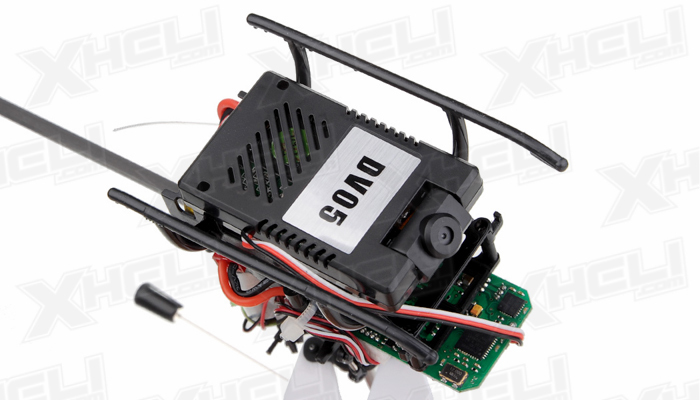 The mutli-axis gyro system on the FPV 100 is improved as well. 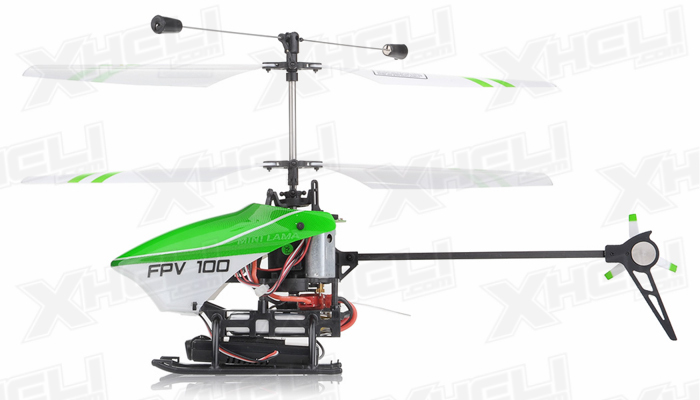 Stability and flight character is much improved over other co-axial helicopters. 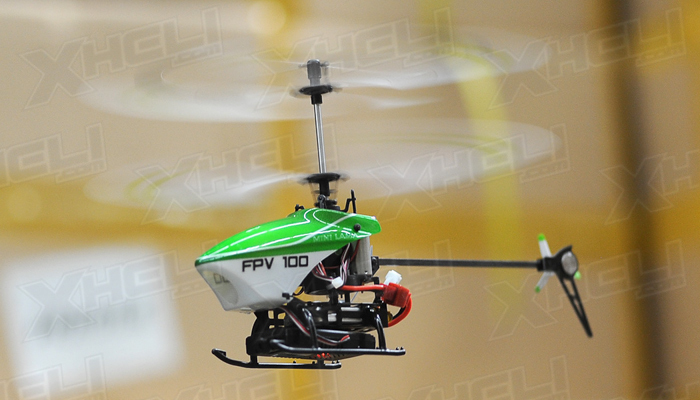 Walkera nailed it with the FPV 100 and we are excited to offer this great package to our customers.